WHATEVER YOUR SHOOTING INTERESTS, WE HAVE A RANGE FOR THAT! PLINKING RANGE the ONLY Range for full auto shooting! There are organized competitive shoots for rifle (High Power, .22 Silhouette, High Power Silhouette, Old Military) and shotgun (Sporting Clays) almost every month. You do not have to be a Member to join us at these shoots! Simply contact the appropriate Match Director before the event date to get instructions on how to access the Zink Ranch. Matches for which NRA has programs are NRA certified. Classes for learning how to shoot, Marksmanship instruction and Concealed & Open Carry are available, taught by State and NRA certified instructors, all of whom are Club members. The Outdoor Shooting Ranges are located on the Zink Ranch, adjacent to Skiatook Lake, north of Sand Springs, Oklahoma, at the north end of HWY 97 (Coordinates to the Club House at Zink Ranch: 36.308019,-96.117261 or W3W at concierge.lighthouse.grounded). Ranch hours are from 7am to one hour before dark. Our Indoor Shooting Range is located at 1115 S. Zunis Ave in Tulsa. General guidelines, information and rules for the various ranges, click here. Range Closings: The Outdoor Range opens at 7am daily and closes one hour before dark. - The High Power Rifle Range is CLOSED the 2nd Saturday of the month during the season for the 600yd Prone Rifle League Matches from 7:00am until about 3:00pm except from November through February when no matches are scheduled. - The High Power Rifle Range is CLOSED the third Saturday of every month for the CMP Marksmanship Program Matches from 7:00am until about 3:00pm. 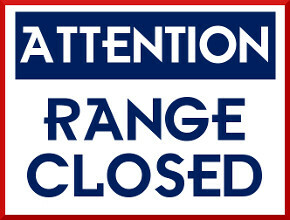 - The High Power Rifle Range will be CLOSED March 23rd &August 24th from 7:00 until about 3:00 and September 28th & 29th all day for scheduled NRA Regional Silhouette matches. - The Smallbore Silhouette Range is CLOSED the third Saturday of the month April thru October from 7:00am until about 2:00pm for the .22 Smallbore Rifle Silhouette Match. Also closed on the afternoon of September 27th and all day on September 28th for NRA Regional.